A neurological disorder suspected of links to the mosquito-borne Zika virus is on the rise in Brazil, Colombia, El Salvador, Suriname and Venezuela, the World Health Organization (WHO) said on Saturday. The rare Guillain-Barre syndrome, in which the body’s immune system attacks part of the nervous system, causes gradual weakness in the legs, arms and upper body and sometimes leads to total paralysis. 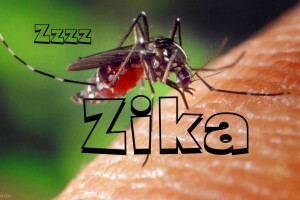 “In the context of the Zika virus outbreak, Brazil, Colombia, El Salvador, Suriname and Venezuela have reported an increase of GBS (Guillain-Barre Syndrome),” the WHO said in a weekly report on Zika virus now circulating in 34 countries, including 26 in the Americas. “The cause of the increase in GBS incidence observed in Brazil, Colombia, El Salvador and Suriname remains unknown, especially as dengue, chikungunya and Zika virus have all been circulating simultaneously in the Americas,” it added. Investigations continue to determine the cause, WHO said, noting that there was no laboratory confirmation of Zika virus in patients with GBS in Colombia and El Salvador. Venezuela’s President Nicolas Maduro said on Thursday that three people had died of complications linked to Zika virus and that suspected cases of Zika had risen to 5,221. Even in the best of settings, 3 to 5 percent of Guillain-Barre patients die from complications, which can include paralysis of the muscles that control breathing, blood infection, lung clots or cardiac arrest, according to the WHO. In French Polynesia, all 42 GBS cases identified during the Zika virus outbreak in 2013-2014 tested positive for dengue and Zika virus infection, the WHO said. There is no proven link between the Zika virus, the birth defect microcephaly and Guillain-Barre syndrome, but senior WHO expert Marie-Paule Kieny said on Friday that scientists suspected on and might be able to confirm it within weeks. Microcephaly is a condition marked by a baby’s abnormally small head size, which can result in developmental problems. “Prevention measures have become critical. There are concerns that the Zika virus may spread globally to environments where mosquitoes can live and breed,” the WHO said on Saturday. Brazil is investigating the potential link between Zika infections and more than 4,300 suspected cases of microcephaly. Researchers have confirmed more than 460 of these cases as microcephaly and identified evidence of Zika infection in 41 of these cases, but have not proven Zika can cause microcephaly. Pregnant women should consider putting off travel to areas infected with the Zika virus as a precautionary measure, the WHO said on Friday. in August, the height of winter in the region and a time of year when mosquitoes are least active,” WHO said on Saturday, citing remarks made by member states at a private briefing last week.